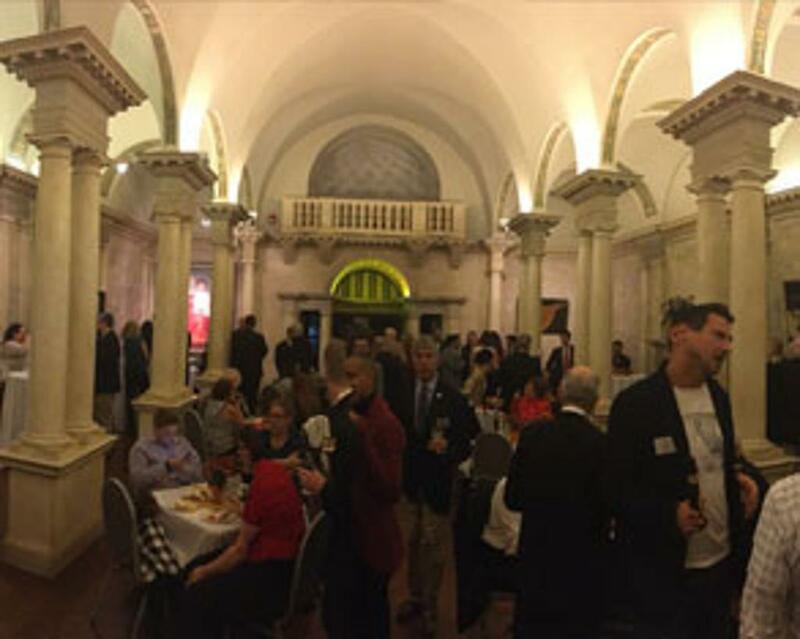 For the second year, the IVHF is offering a raffle to win a VIP Induction Experience that includes airfare for two to Holyoke, limousine pick up at the airport, hotel accommodations, all-access/VIP pass to every induction celebration event, exclusive inductee photo and autograph session, custom induction celebration jacket, $100 cash card and more. Enter today at VolleyHall.org – winner will be announced Sept. 1st. 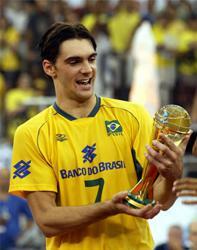 A three-time Olympic medalist, Brazil’s Gilberto Godoy Filho, commonly known as “Giba”, enjoyed his greatest moment at Athens 2004, where he inspired Brazil to volleyball gold and was named the tournament’s Most Valuable Player. 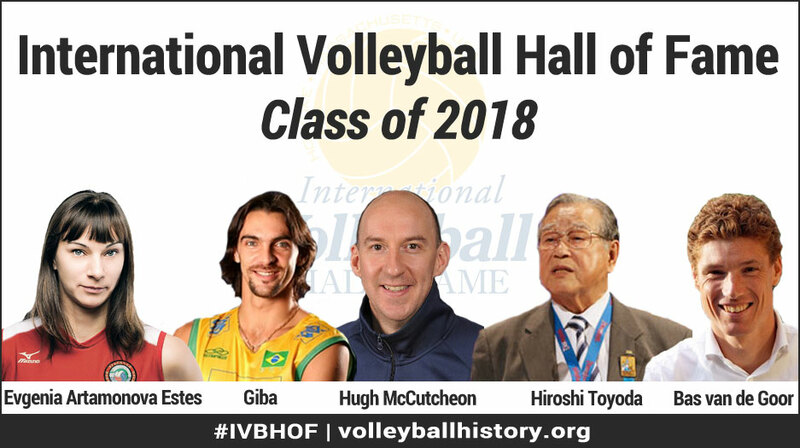 He would go on to be considered one of the world’s greatest volleyball players during the 2000s with successes to back it up including three FIVB World Championship titles (2002, 2006, and 2010), eight FIVB World League victories (2001, 2003-2007, 2009-2010), two Olympic silver medals (2008 and 2012) along with the Athens Olympics gold (in 2004), as well as 319 international caps for Brazil. Brazil never finished outside of the top three at any major event during Giba’s tenure on the team. Giba capped his impressive career with his third Olympic medals taking silver at the London 2012 Olympic Games. Artamonova made her national team debut in 1991 at the age of 16, one year before she would compete in her first of six consecutive Olympic Games (1992-2012). 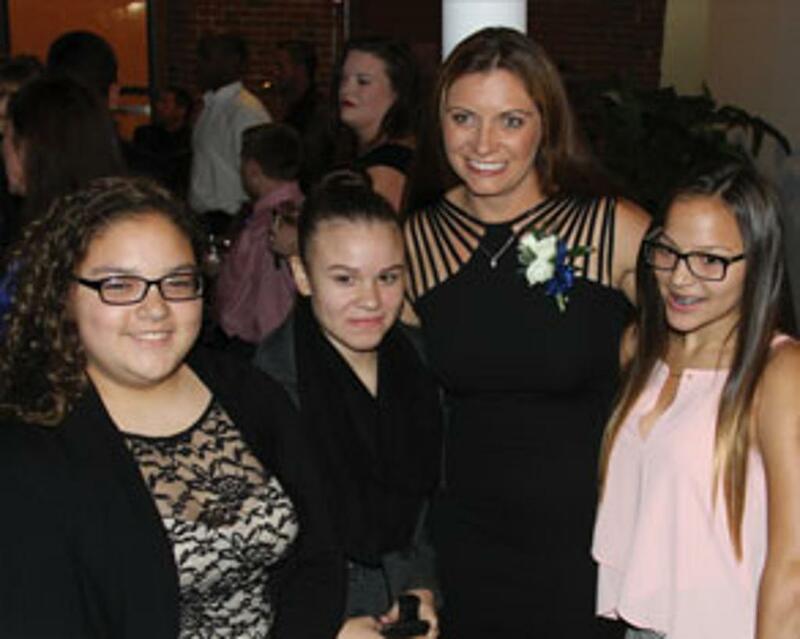 The only female in indoor volleyball history to play in six consecutive Olympics. Artamonova helped lead Russia to silver medals at the 1992 Barcelona Games, 2000 Sydney Games, and 2004 Athens Games. Artamonova’s teams would have great success throughout her career including four European Championships (1993, 1997, 1999, and 2001) along with a third place finish (1995), nine FIVB World Grand Prix medals including three gold (1997, 1999, 2001), three silver (1998, 2000, 2003), and three bronze (1993, 1996, 2001), they would win three World Championship bronze medals (1994, 1998, 2002), a World Cup silver medal (1999) and bronze (1991), and World Grand Champions Cup title (1997) and runner-up (2001). 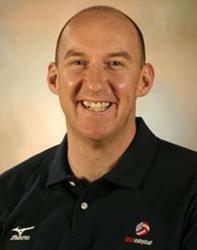 Hugh McCutcheon led the U.S. Men’s National Volleyball Team program to the 2008 Olympic Games gold medal in Beijing. The U.S. Men’s National Team enjoyed one of its best seasons ever in 2008 under McCutcheon's guidance as the team won all three of its major tournaments of the year including its first-ever FIVB World League championship in 2008 after a bronze medal finish in the same event in 2007, the first time the Americans earned back-to-back medals in the annual event. Less than four months after leading the U.S. men to gold, McCutcheon transitioned to the head coach position of the U.S. Women's National Team. He mentored the U.S. women to a 106-39 record in his four years including the 2012 Olympic Games silver medal in London becoming one of only two coaches in history to win medals with both genders. McCutcheon’s love for volleyball developed in New Zealand where he played on the junior and senior national teams from 1986-90 before coming to the United States. He was also a member of New Zealand’s national team in 1996 and represented his country on the FIVB Beach Volleyball World Tour in 1997. Hiroshi Toyoda enjoyed an outstanding volleyball career in his native Japan, as a player and as a coach. He worked with the National Team in Japan to prepare for the 1964 Olympic Games in Tokyo. A specialist in exercise physiology, he instituted a program of weight training that supported the rise of Japanese dominance during the 1960’s and 1970’s for both men and women. So successful was this approach that the Japanese women won the gold medal in the 1964 debut of Olympic Indoor Volleyball followed by silver medals at the 1968 and 1972 Olympic Games. The Japanese men had similar success winning the bronze at the 1964 Tokyo Olympic Games followed by silver at the 1968 Olympic Games and finally gold at the 1972 at the Munich Olympic Games. 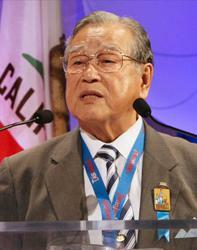 Toyoda went on to serve in many roles with the Japanese Volleyball Association including Executive Director and Managing Director. Active with the FIVB, he was a Member and Chair of the Rules of the Game Commission, Chair of the Technical Commission and also of the Coaching Commission, in addition to being a member of the Board. His work with the FIVB in 2012 included improvements to teaching materials resulting in the publication of a new coaches’ manual available in multiple languages. 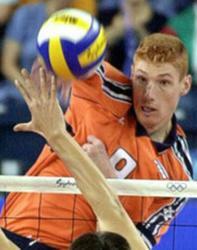 Sebastiaan Jacques Henri "Bas" van de Goor represented the Netherlands at two consecutive Summer Olympics starting in 1996. At his 1996 Olympic debut, he won the gold medal alongside his younger brother Mike by defeating arch rivals Italy in a dramatic five set match in the final - the same year the Netherlands won the FIVB World League title in Rotterdam. Four years later, he helped lead the Netherlands to a fifth place finish at the 2000 Summer Olympics in Sydney. Van de Goor played 295 international matches with the Netherlands men’s national team. He had an illustrious career in volleyball and played with prestigious clubs such as Dinamo, Treviso and Modena winning the Champions League three times. In 2003, Van de Goor was diagnosed with type 1 diabetes. He has founded the Bas van de Goor Foundation, aimed at "improving the quality of life for people with diabetes through sports". He also played an important role at the 2015 FIVB Beach Volleyball World Championships serving as the tournament director of the The Hague Grand Slam for two terms and the tournament chief at the successful Beach Volleyball World Championship.